Le Boudoir, an underground cocktail bar in Brooklyn, got a lot of attention when it opened earlier this year, due to its Marie Antoinette theme. But beyond enjoying cocktails in a setting inspired by the infamous long-gone French queen’s indulgent chambers—complete with a perfect replica of her private bathroom—there’s a much more exciting story to be told. 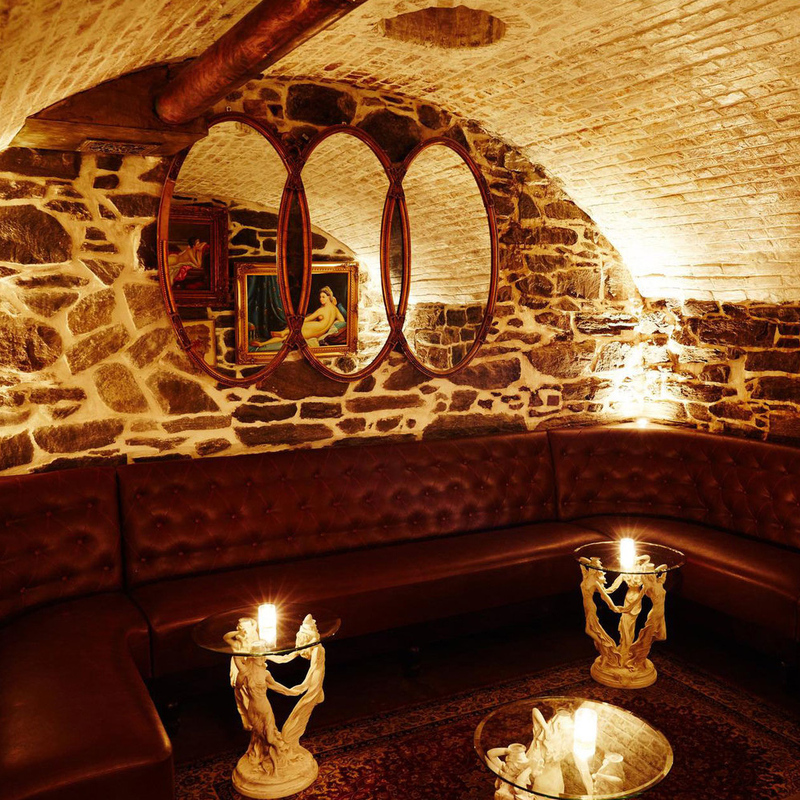 The cocktail lounge, which can be found via a secret bookshelf entrance at the back of French bistro Chez Moi, was actually built out of remnants of a centuries-old Atlantic Avenue railroad tunnel! Untapped Cities reported that the tunnel, built in 1844, is actually the oldest tunnel under any city street in North America. The owners of Chez Moi, who originally used that downstairs area of the restaurant for storage, took a sledgehammer to the walls after a few drinks—we’ve all been there—and discovered the old tunnel. So, while you are at Le Boudoir enjoying cocktails with names like the Guillotine, you can also enjoy a glimpse of Brooklyn history. A pretty incredible way to enjoy happy hour!